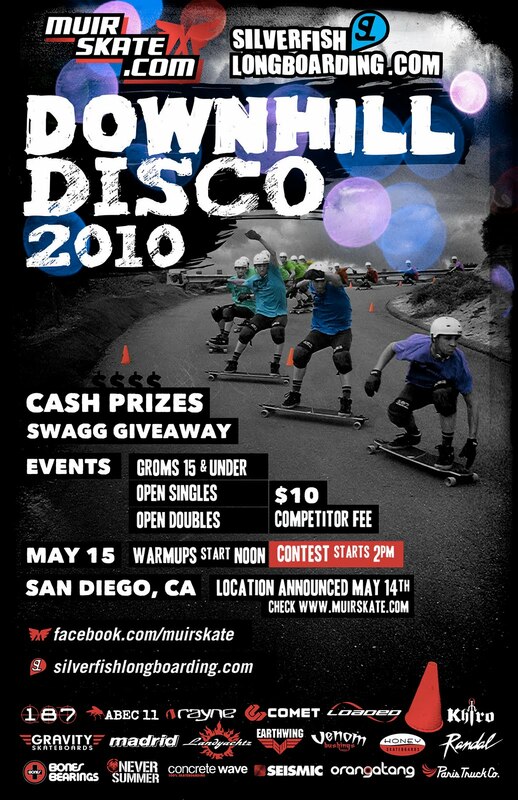 Longboarding Blog: The Downhill Disco: Time Change! The Downhill Disco: Time Change! Thought you might like to know we've pushed the event start time back to 2pm. Hopefully this extra bit of beauty sleep will help you get even more pumped for the Disco! We've got a LOT of goodies to give away. You should see this heap of awesomeness! The Downhill Disco Event Page is up!